When trying to find the right airline to fly on your upcoming travels, the selection can be daunting, especially if you aren't a member of a mileage rewards or frequent flyer program. If you're looking for a great domestic carrier in the United States, consider one of these highly rated airlines. Originally part of the Virgin Group, Virgin America was purchased by Alaska Airlines in late 2016, but continues to operate under its own name for now. While the California-based airline only launched in 2007, it has continually won accolades from travelers and industry experts alike. Conde Nast Traveler readers have consistently voted it their favorite domestic airline since its initial launch. Virgin America services a number of destinations across the United States, as well as Los Cabos and Cancun in Mexico. 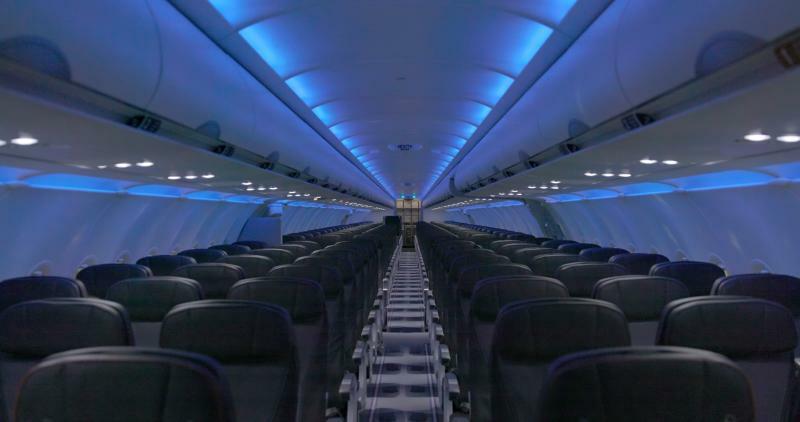 Aside from the benefit of lower prices in many instances, onboard touches like mood lighting and technological features are a win with loyal customers. When it comes to the flight itself, industry experts note important details like a newer fleet, which results in fewer to no delays or cancellations due to maintenance issues. The flight crews, including pilots, are always professional and very nice. Their website is easy to navigate and makes for a great buying experience, and kiosks set up at the airport keep customers from standing in long check-in lines. Other accolades Virgin America has amassed are varied and include everything from best in-flight safety video and website design to America's best low cost airline, best in-flight service, and best flight crew. Lots of tech-savvy additions like touchscreen menu ordering, in-flight messaging between seats, and Netflix streaming. You can use the seat-to-seat delivery feature to send a cocktail, snack, or meal to a fellow traveler onboard. They have fleet-wide Wi-Fi, a video game library, a large MP3 library, power outlets and USB ports at every seat, and more. Their frequent flyer program, Elevate, has no blackout dates. 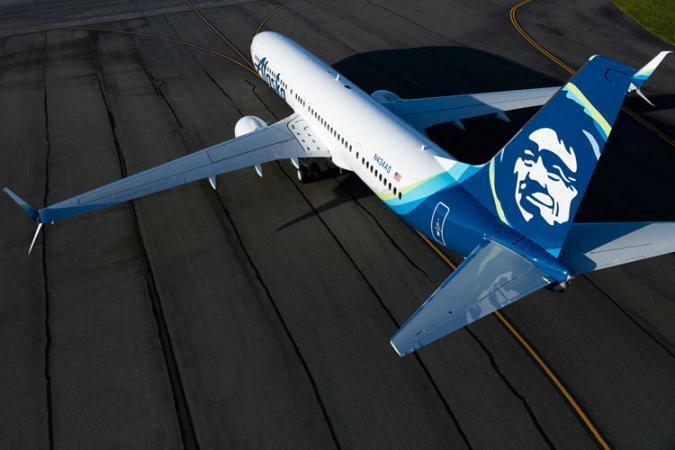 Brand will be rolled into one with Alaska Air at some point, so it likely won't exist as a separate entity. Destinations are limited to domestic airports and two in Mexico. The biggest complaints in negative reviews tend to center around lackluster phone customer service and delayed/cancelled departures. Alaska Airlines also earns a spot among the best-recommended U.S. carriers based on a variety of industry factors. ThePointsGuy.com uses a list of comprehensive criteria to pull together his domestic airline rankings, and for 2017, Alaska comes out on top. Criteria included elements like airfare, on-time arrivals, lost baggage, involuntary bumps, customer satisfaction, and frequent flyer programs. The only area where Alaska really fell short was its route network, but with the Virgin America merger, that ranking will likely improve. The Points Guy notes that Alaska is poised to be a fierce competitor if their rankings continue to soar with the Virgin America acquisition. Buying Virgin America increases Alaska Airlines' destination options. While many other carriers are reducing their mileage benefits program, Alaska Airlines is enhancing theirs. Alaska Airlines isn't a member of one of the three alliances, but has codeshare agreements with members of all three, so you can earn and redeem on a broader scale. Alaska is cutting ties with Delta Airlines as of May 1, 2017 for codeshare partnership flights, so there is a loss for those who are SkyTeam members. Because Alaska Airlines isn't a member of a large alliance, you can only use your tier perks within the Alaska Airlines network. Fewer destinations are serviced, but the acquisition of Virgin America should increase that. When it comes to the big U.S. carriers, Delta tends to be the highest rated option. Delta offers an extensive network of flights both domestically and internationally. When combined with their SkyTeam membership, there are even more destinations through carriers like KLM/Air France, China Airlines, AeroMexico, and more. Airline experts like Airfarewatchdog.com rate Delta pretty high across the board for many important elements. For overall performance, Delta came in second. They rank first for fewest cancelled flights, and rank in the top three for number of denied boardings, fewest mishandled bags, and most on-time arrivals. Upgrades, even as top-tier Diamond Elite, can be few and far between on popular routes through hubs. Mileage award benefits continue to decrease each year and US-based members are required to complete a certain spend level, or "MQD," in addition to miles/segments flown for elite status. Fares are often higher than other airlines. What was once a low-cost "cattle herding" experience to some travelers has grown into one of the country's most beloved and highly rated airlines. Southwest Airlines retains some of the best aspects of flying in the good old days, especially without fees assessed at every turn. As a no-frills airline, you won't find a business class section or food menu, but what you will get are cheap fares, great customer service, and a pretty spectacular record of on-time departures. And, with Southwest moving into international territory, they are really driving competition with the big US carriers that fly to popular vacation destinations. New destinations in Mexico, Central America and the Caribbean have great low cost alternatives to bigger carriers. Southwest Airlines continues to rake in the awards from consumers and industry experts, with media outlets like Huffington Post declaring Southwest as America's favorite airline, thanks in part to Airfarewatchdog's annual survey. Southwest Airlines also offers an incredible companion pass option once you hit a qualifying status. It's getting harder to get decent position for seating with people paying for "front of the line access." Rapid Rewards program benefits have been on the decline, an airline industry-wide trend. While it's no surprise Hawaiian Airlines is a popular choice to fly to and from Hawaii, as well as between the islands, they also service a number of popular routes worldwide. This is especially true when you throw in codeshare partners like Air China, ANA, China Airlines, and Korean Air. Hawaiian Airlines has earned countless awards and managed to remain in the top 10 for many of the largest rankings, including Zagat, Conde Nast Traveler Reader's Choice awards, and Forbes. Travel + Leisure notes that Hawaiian Airlines is prepared to go the extra mile to outfit premium cabins with lie-flat seats and provide toiletries with soothing tropical scents. Baggage fees on domestic routes can be a bit confusing and mileage members receive reduced fees, but not necessarily complimentary luggage as elite members. If you're booking through a codeshare partner, your Hawaiian Airlines mileage number must be the only number in the reservation in order to receive the baggage discount. JetBlue Airways helped set the bar high for other airlines with its roomy seats, high-speed internet access, and DirecTV access. Look for free snacks like their signature blue potato chips and more. Moving on from the in-flight benefits, JetBlue continues to work on improving customer service, which has paid off for the airline. According to MONEY, which awarded JetBlue a Gold award in their Best U.S. Airlines for 2017 awards, JetBlue scored the highest on J.D. Power's customer satisfaction survey. Like Southwest, JetBlue offers some international flights, including many popular destinations throughout the Caribbean and even a few in South America. SkyWest Airlines might not be one you're completely familiar with, but you may have booked a flight with them without even realizing it. SkyWest Airlines operates nearly 2,000 daily flights to over 200 destinations in North America, and they partner with the big US carriers, like Alaska Airlines, Delta Airlines, American, and United. In the newest Airline Quality Rating results for 2017, SkyWest squeaked ahead of United, earning it a 7th place ranking this year. It scored particularly high in customer satisfaction. You can't outright book a flight; you'll still need to go through the bigger carriers. Every airline has its advantages and shortcomings, and domestic carriers are certainly not immune to imperfections and complaints either. If you're trying to determine which is the best domestic carrier to fly, consider what details are most important to you. For many frequent travelers, alliance status and mileage perks reign supreme. This means that on-time departures and other service factors may take a back seat in order to gain important benefits like free luggage, priority check-in, VIP lounge access, first class upgrades, and priority boarding. For the occasional traveler, factors like best price and fastest route may be the main deciding factors.